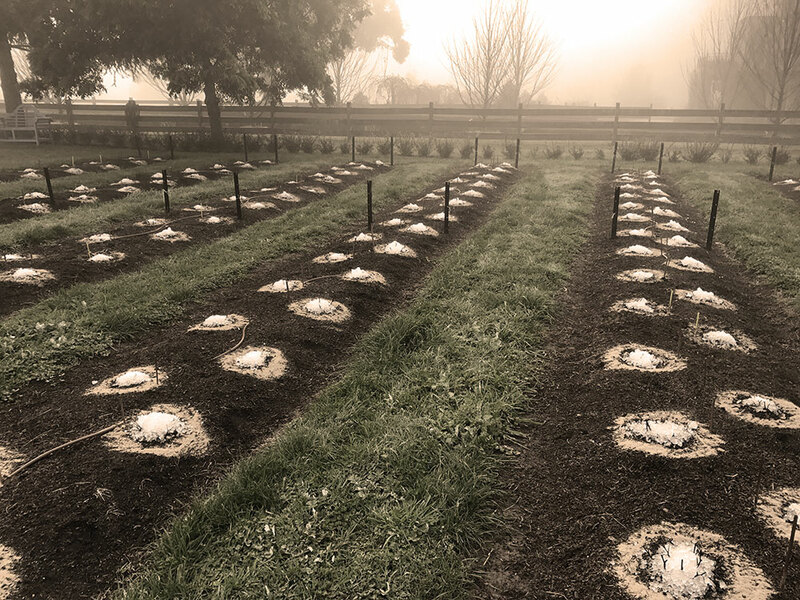 It was back in 1886 that our ancestors first started cultivating the land at Red Hill. The first generation cleared some of the property, milled the timber and planted various vegetable crops. Over time, they were able to cultivate and plant many acres of commercial fruit trees, in particularly, apples. In more recent times the property has seen numerous grazing cattle roaming the green fields, and now, 132 years later, this same land has evolved into lush fields of peonies. Our great, great grandparents, Robert & Eliza Sheehan purchased the Red Hill property from a James McKeown in 1886. They had decided to leave their prosperous farm in Murtoa, Victoria to their eldest son, and move to a cooler and more comfortable climate on the Mornington Peninsula. It was around 1865, when the Melbourne Botanical gardens were being developed, that James McKeown planted a large grove of European trees surrounding his home and although the home has long gone, many of these trees still stand to this day, magnificently towering over the property’s lush verdant paddocks. We will be forever grateful for Robert and Eliza’s decision in choosing Red Hill and to the seven generations of Sheehan/Holmes families who have worked, cared and developed this beautiful piece of paradise. “Peonies have been used as medicinal plants for at least two thousand years. The peony flower and root have been much coverted and held in high esteem; an ancient Greek poem referred to them as “the Queen of all herbs” and the ancient Chinese considered the “tree peony” to be the “King of flowers”. The peonies at Red Hill Peony Estate have been growing for three seasons, so it is now time to let them flower. Come and see these magnificent blooms for yourself on a walk through the fields and purchase pre-picked peonies from our Coolstore Shop at the top of the property.